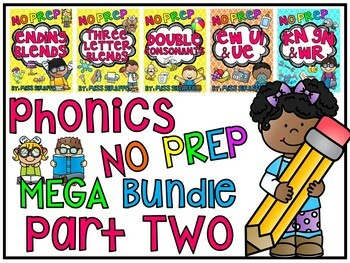 Phonics No Prep MEGA Bundle Part 2!! After a ton of requests, I have finally made a 2nd bundle of no prep packs! Here is Part 1 if you want to check it out!